Home > All other vStuff > The first vBeers The Hague; the VMworld afterparty! 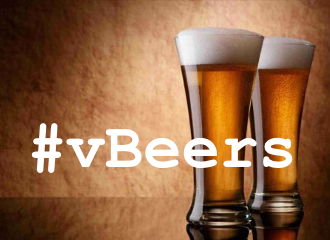 Join Eric Sloof (NTPRO.NL), Jeremy van Doorn (VMware) and Viktor van den Berg (viktorious.nl) for the first vBeers The Hague; The VMworld afterparty! Catch up with other peers and discuss VMworld announcements or just have a little drink and chit chat. This first vBeers The Hague event will PYOD, Pay Your Own Drinks, although we will be working on some funding. The bar also serves some tapas style food. Car parks available at Torenstraat, Laan and Heulstraat. Tram 17 & 29 stop at Gravenstraat which is nearby. Hope to CU in The Hague on November 7th! Share the news and feel free to invite your co-workers and virtualization friends.